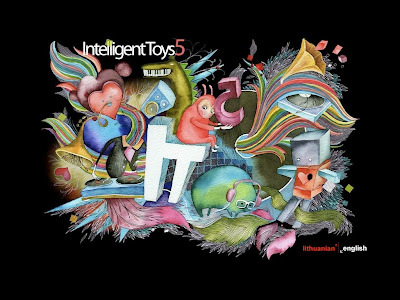 After releasing the second volume of Intelligent Toys series we said to ourselves that it is probably the last one in the series. Just because we thought that it is impossible to beat the quality we have created ourselves. And after that we released third volume. Fourth volume wasn't long to come. And every time we thought the same. Although not all of them were better than previous ones (for some of our fans first volume still remains the best). So it's no surprise that this time we also think that it is impossible to make a better compilation. As the matter of fact we aren't sure about the sixth volume. The reason still remains the same. But this time we have prepared even three hours of various music. As usual we offer you to download all of our intelligent toys and pick the ones that best fit your mood, taste and weather outside your window. /..Let the fifth bomb explode! Yes... 39 tracks PLUS awesome artwork PLUS a Sleepy Town Manufacture video... It doesn't get much better than this. Thank you, Sutemos!